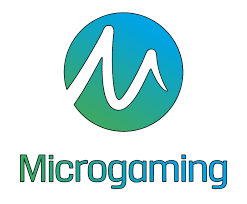 Microgaming has been around since 1994, making them the first company developing online gaming software. They are located in London. Their site focuses on the product. They lead the pack of casino software developers through experience, innovation and continuous upgrading of their products. They have over 100 games on offer and are constantly offering new software with enhanced features. They take the utmost care to show their punters they are playing an honest game. Their payout percentages have been audited by Pricewaterhouse Coopers. They are members of the IGC and eCOGRA. Punters can check their playing history through their PlayCheck™ Online Audit Technology. They also have CashCheck which shows all of your financial transactions. Microgaming offers both a browser and a download casino. Both are well designed and have great graphics, sound, and easy navigation for their medium. Their browser casino is based on Flash technology which has clearer, smoother graphics than Java (the traditional browser casino technology). The download, of course, has better graphics, etc… as downloading the software allows for more complicated and heavier programming. One of the nicest things about their download casino is that the initial download is extremely fast. The rest of the download happens while you are playing. This is great as it leaves less time for a customer to get bored and decide to do something else (helping customer retention). You can play for fun or for real in either version. They offer their casinos in a multitude of languages and offer help in localizing a casino to its target market. In 2003 Microgaming introduced Viper and Prima Poker gaming software. Viper allows the user to choose expert mode – a system that improves players' gaming experience by making the games more enjoyable and enabling them to play a defined strategy. For example, in Slots you can choose expert mode and have the game spin as multiple times with different variables, such as stopping on a win or stopping once you've lost up to a certain amount. Viper has also increased the ease of the casinos usability by offering options like analyze and hints thus enhancing the gaming environment. The sound and the menu navigation systems of the casinos have been improved. You can tell if a casino is using the Viper software by checking the games, if expert mode and autoplay is offered you are in Viper. Prima Poker is a multi-player poker room allowing people from a multitude of poker rooms around the world to play each other. They offer a large selection of games, everything from Poker to Blackjack to Progressive Slots. They offer all of their games in a range of choices such as French Roulette, American Roulette, or European Roulette. Microgaming also boasts the largest Progressive Slot ever won online at $1,626,184. They offer a massive amount of jackpot and progressive games. They also are the first online casino to offer a major brand name game. Tomb Raider TM has been licensed by Microgaming for their video slots. Microgaming offers a fully functional intensive backend system to their casino operators. Operators can see everything regarding game-play and casino customer activity. This is integrated with their financial and marketing modules. In other words, you don't have to send a Poker promotional email to someone who only plays Slots. Why waste your customers' valuable time, energy and patience with information they don't want and/or need? They offer an advanced age tracking software which is especially important to make sure that your punters are of legal age. Included in that is location tracking software which is essential and necessary to protect the casino from fraud. They offer various marketing tools so that the casino can monitor their ROI (return on investment). Ad Tracker does as it describes, tracking all advertising activities from the initial click-through all the way down to the actual wagers and profits generated from each marketing, promotion and advertising campaign. Their Promotional Manager helps the casino operator plan and execute promotions and the Loyalty Manager facilitates customer retention by giving the player points and allowing them to win things by playing. The Affiliate Manager tracks the casino operators affiliate programs, assuring that they are maximizing their profit and pulling in players. Microgaming has approximately 38% of the online casino market. This is the largest percentage held by a software company (Cryptologic is second at 21%). They have over 70 clients, including several land-based casinos. Online casinos based on land-based casinos are important as they add to the reputation and security of online gaming. Piggs Peak (Swaziland) and Ladbrokes (UK) are two of the land based casinos that are also Microgaming casinos.